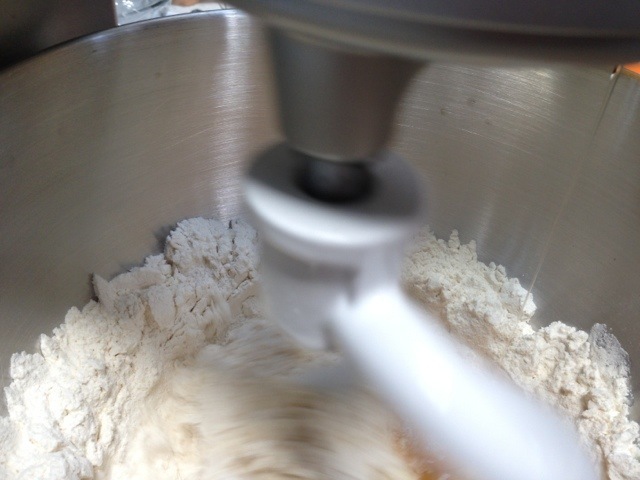 Like a kid in a candy store, I anxiously awaited for the postman to arrive with that brown boxy item… once the box arrived I tore straight into it and from it emerged my version of the bible… my newest cookbook… ‘bread’ from the master Paul Hollywood! 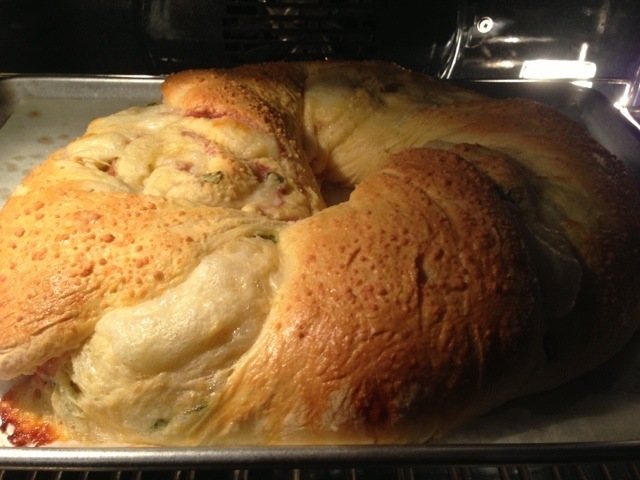 Thumbing through the glossy, picture laden book was painful, as I wanted to make every single recipe listed, but I was on a mission for one perfect puffy, stuffed and twisted doughy element of perfection… The ‘savoury brioche couronne’. 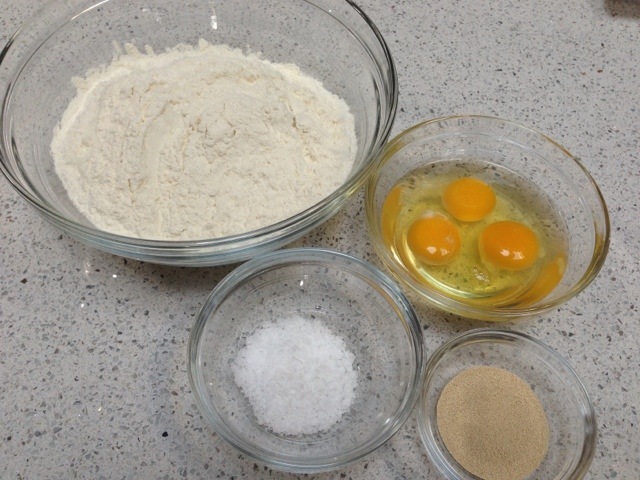 As soon as I knew what ingredients I was missing, it was off to the market to gather them up and then back home to start off baking… This was such an incredible treat to make, although like most breads… time consuming! 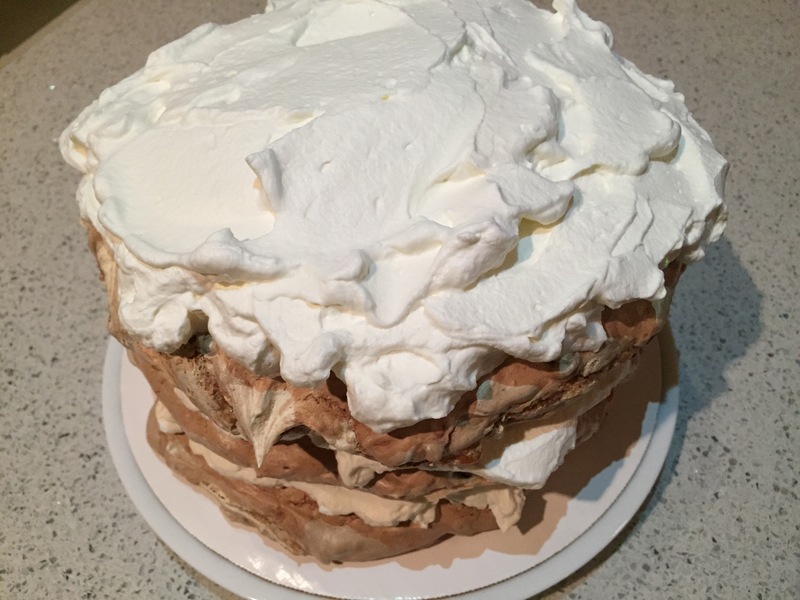 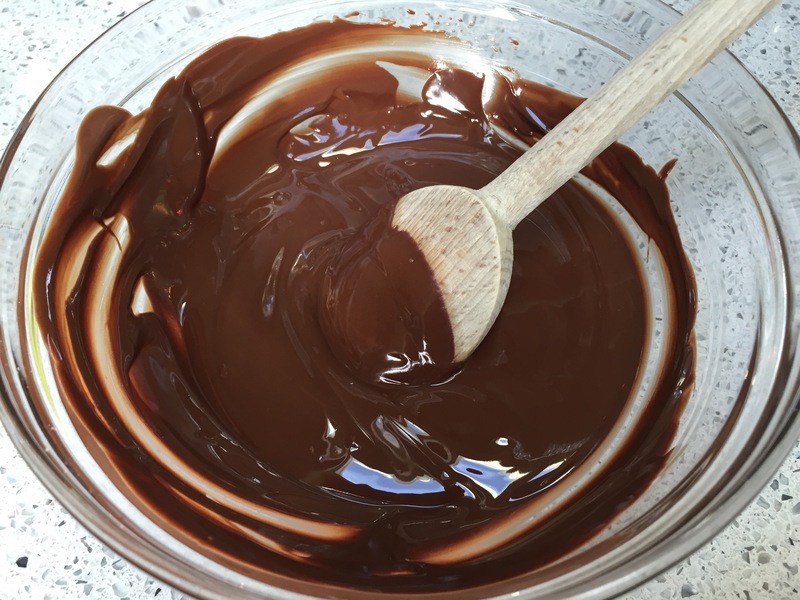 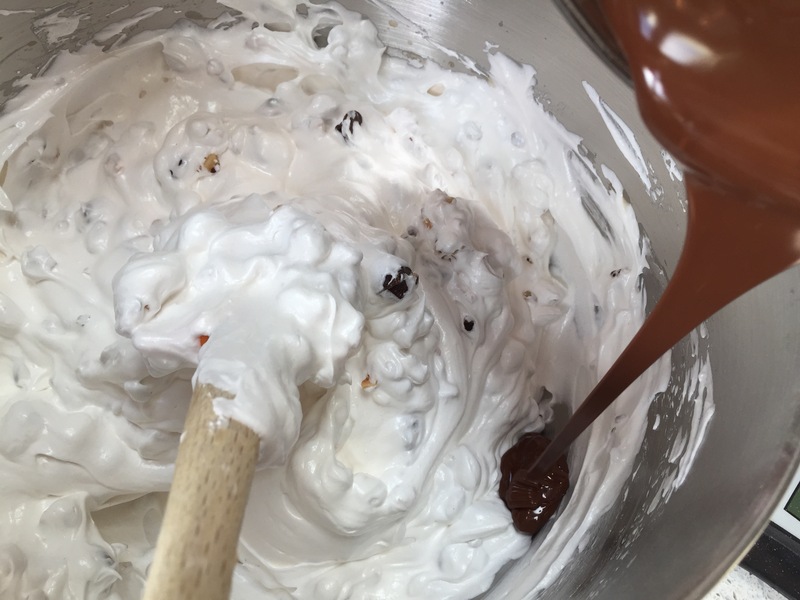 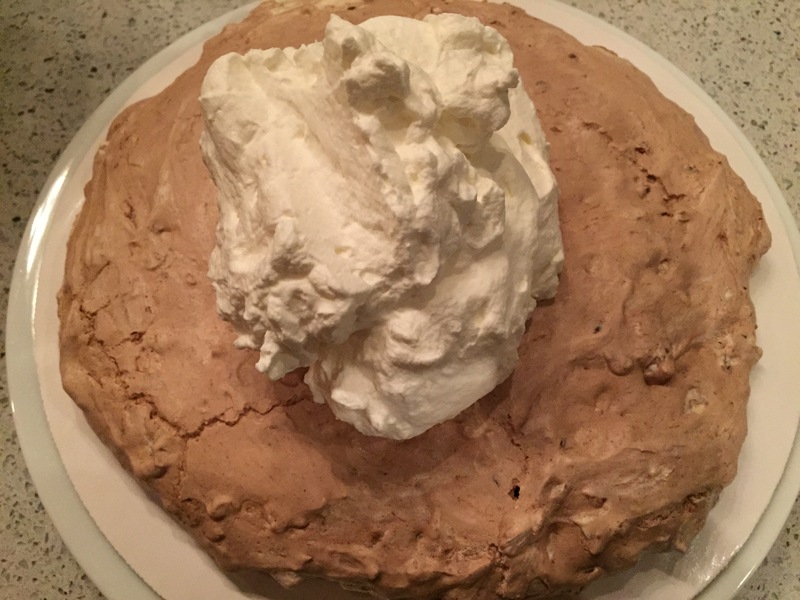 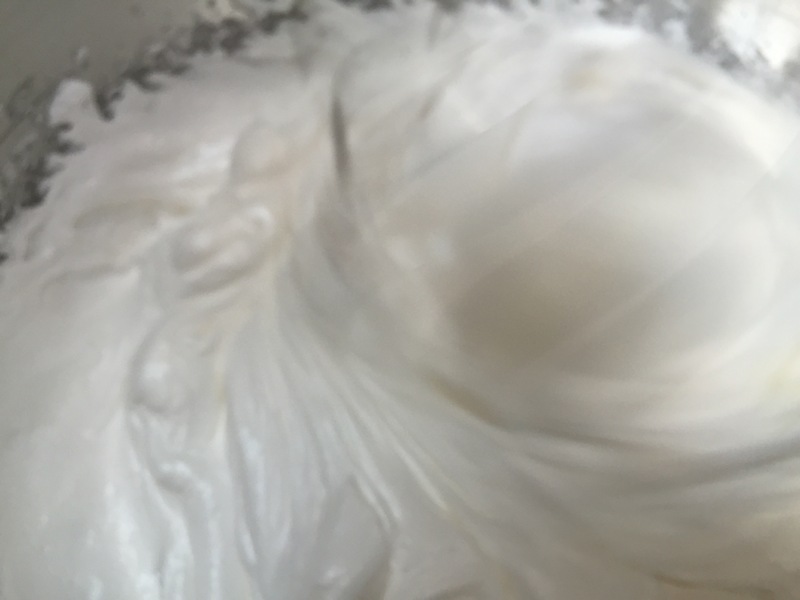 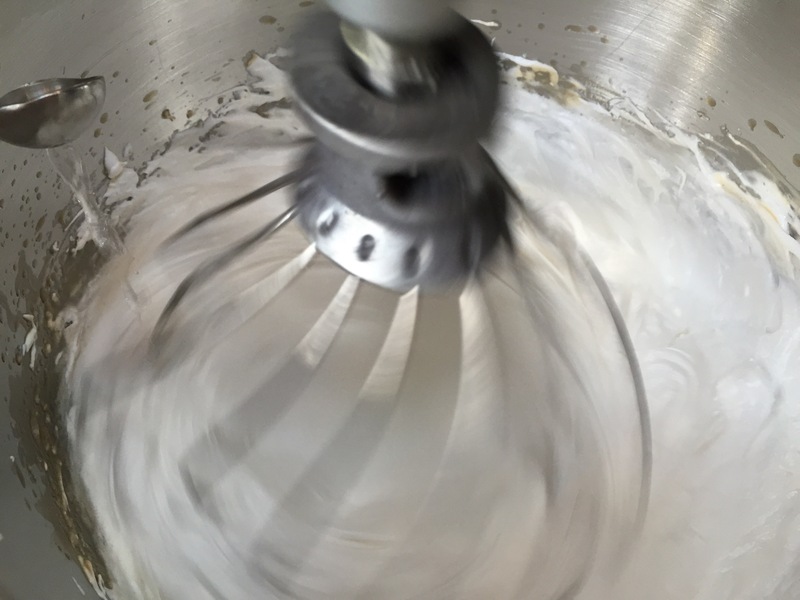 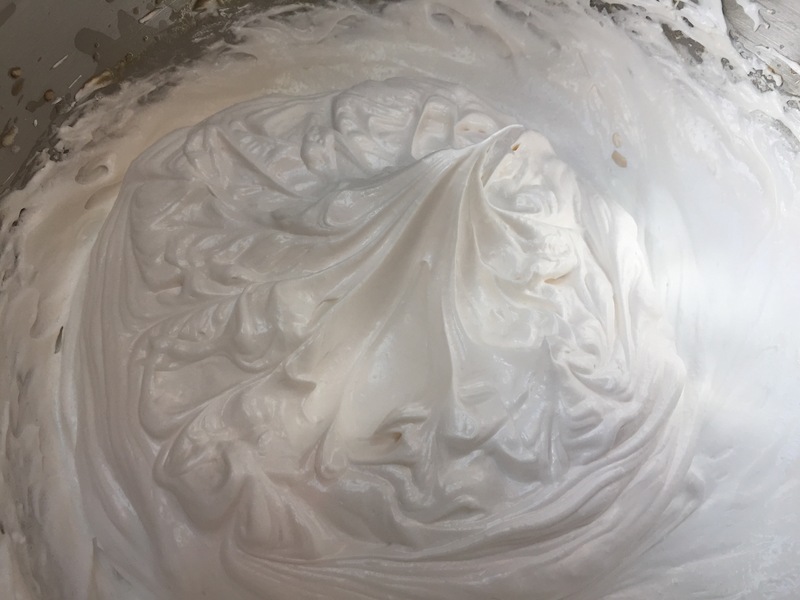 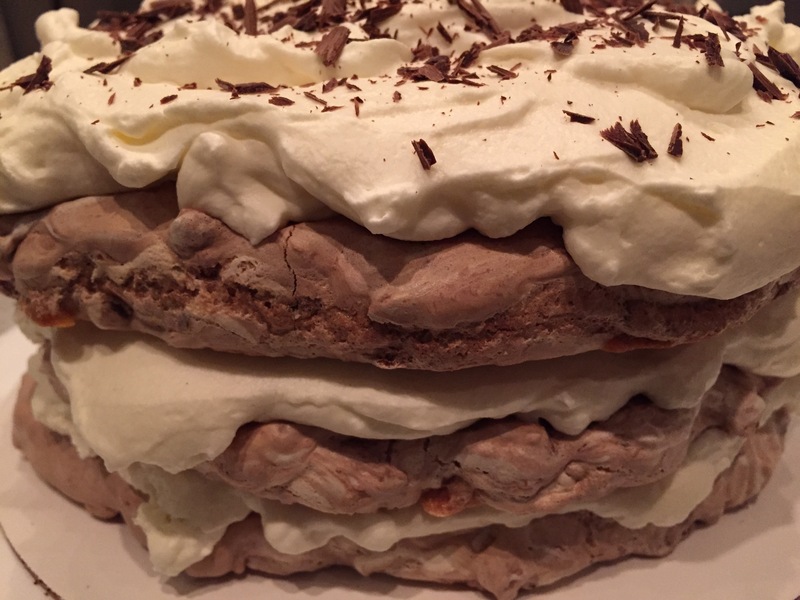 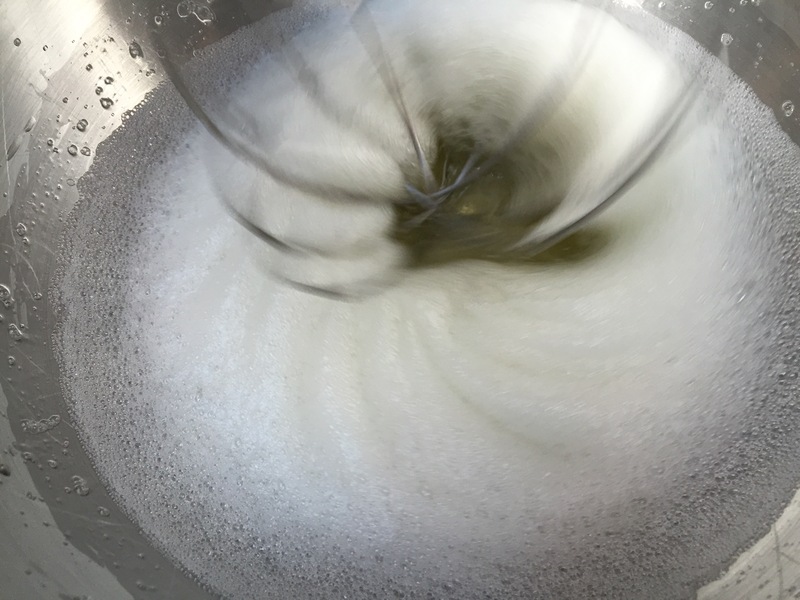 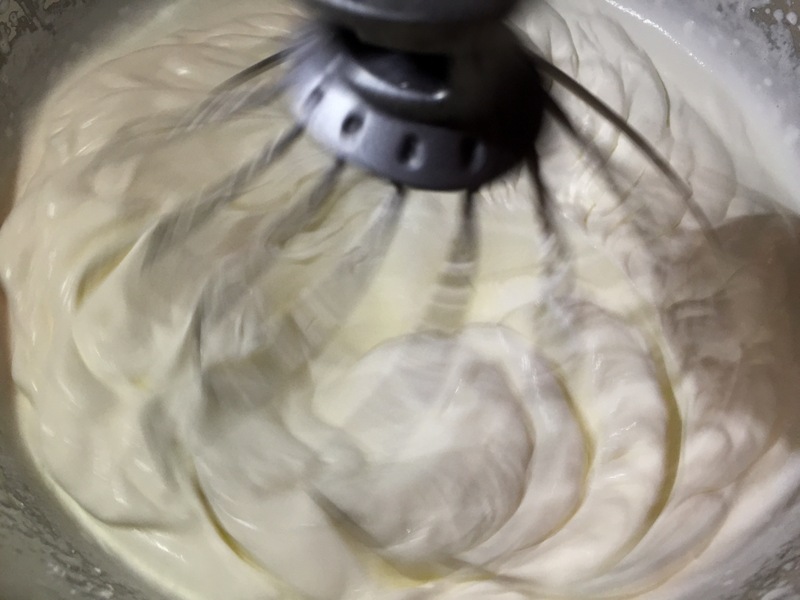 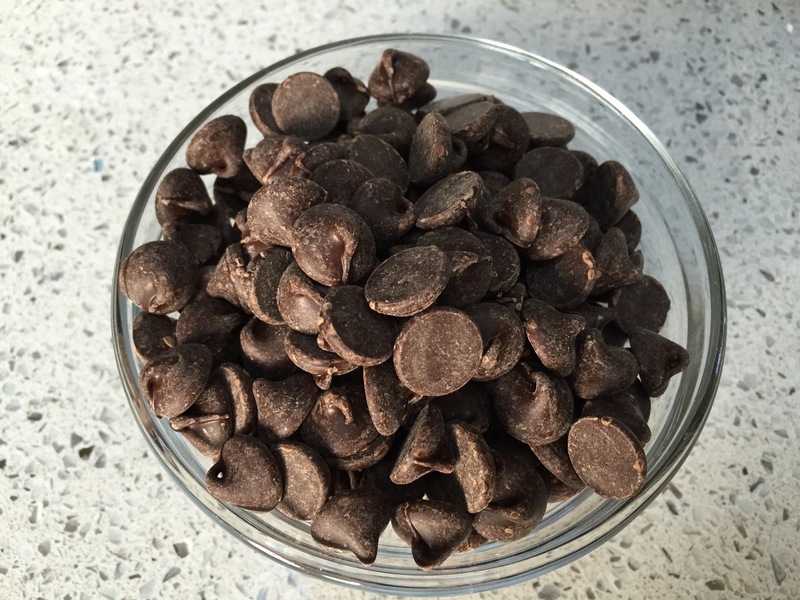 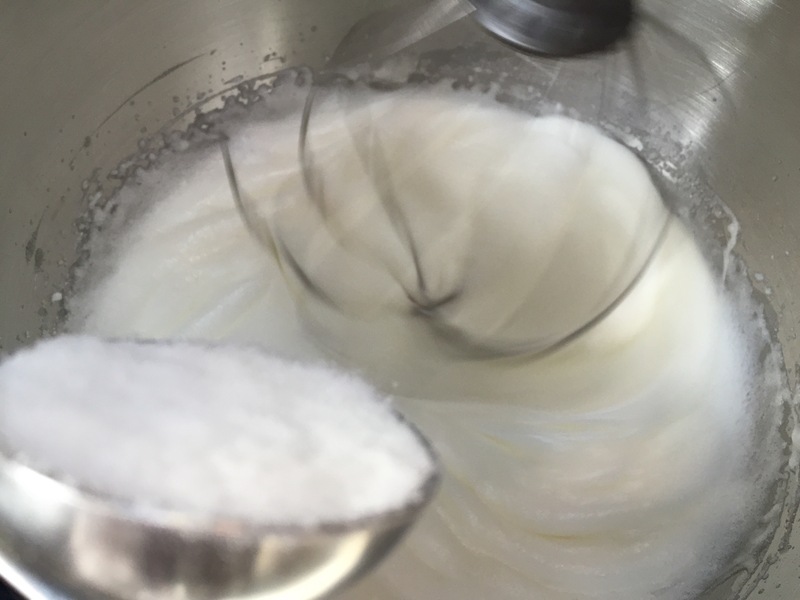 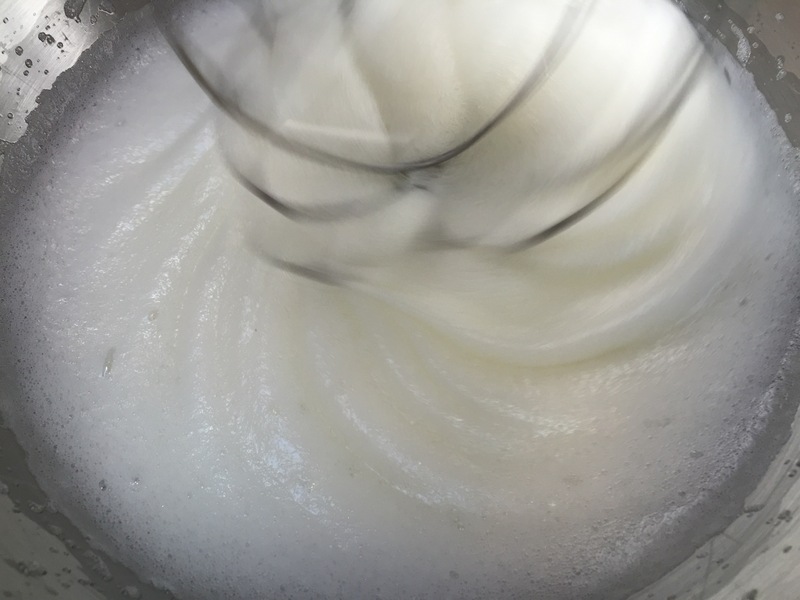 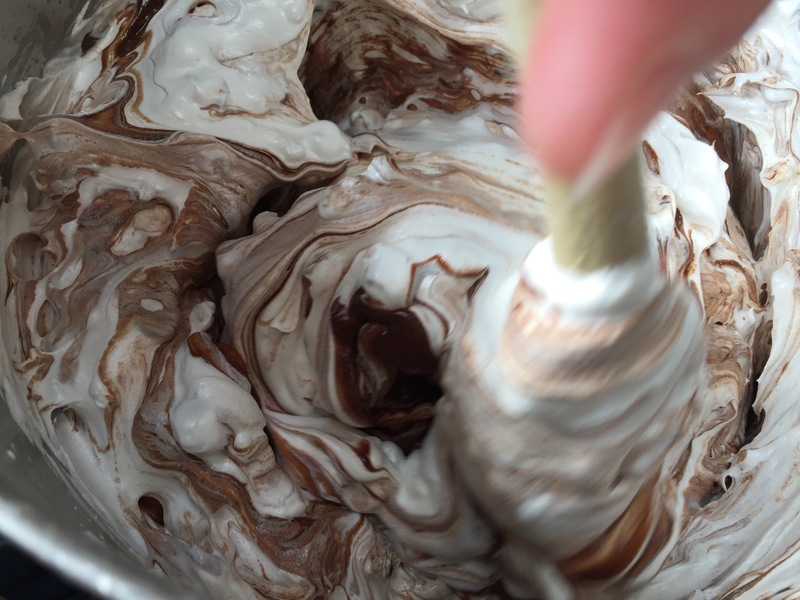 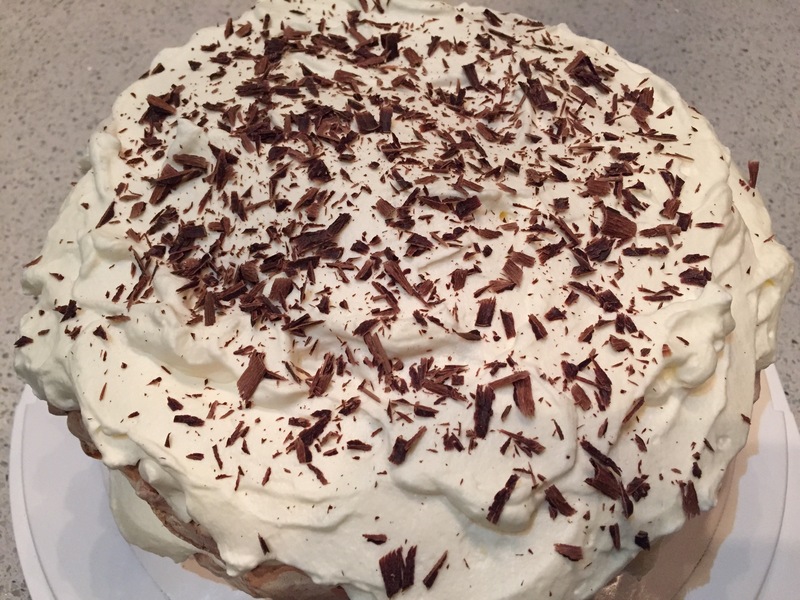 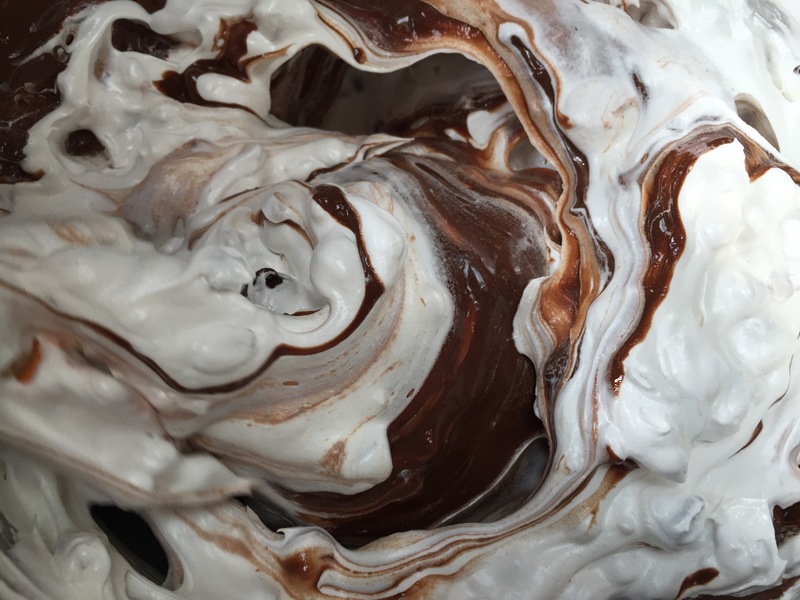 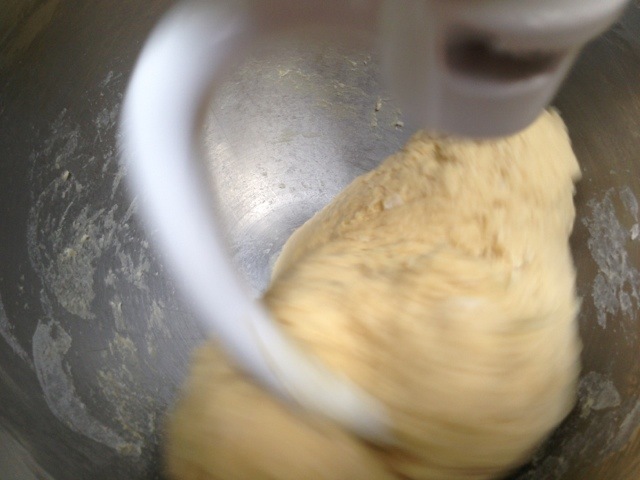 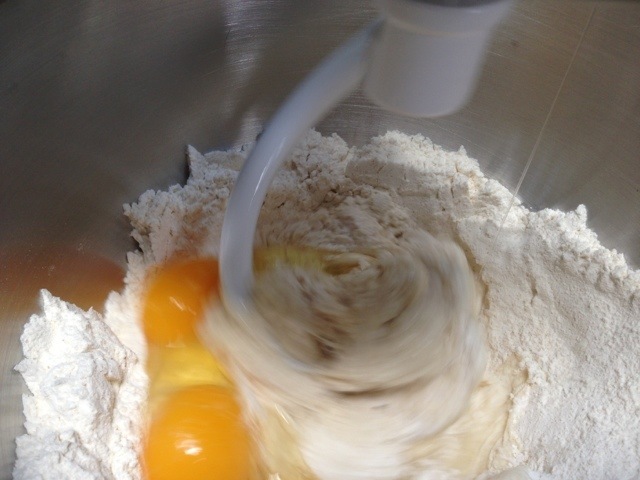 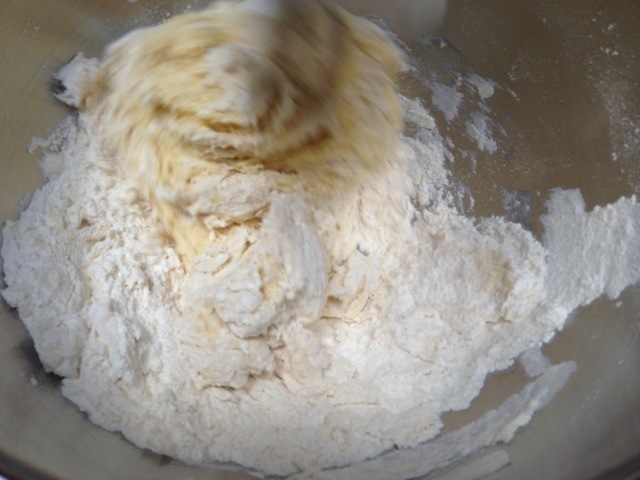 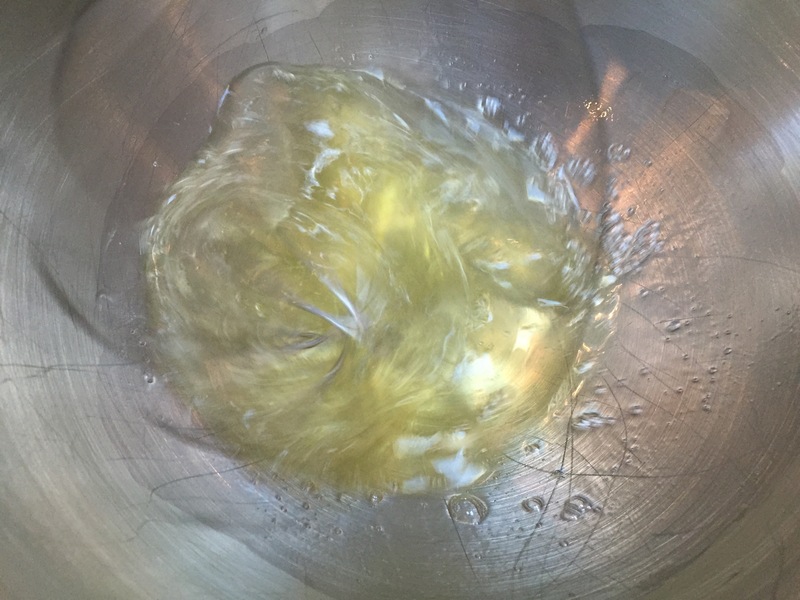 It began with the combining of flour, yeast, salt, milk, eggs and butter… After this all was incorporated, the dough was set aside for it’s first rise. 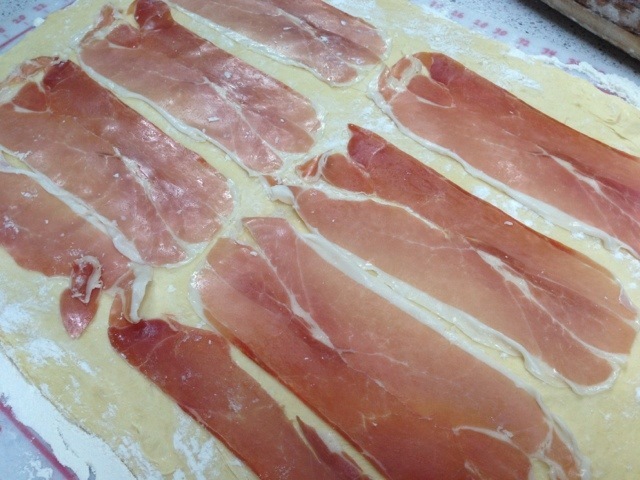 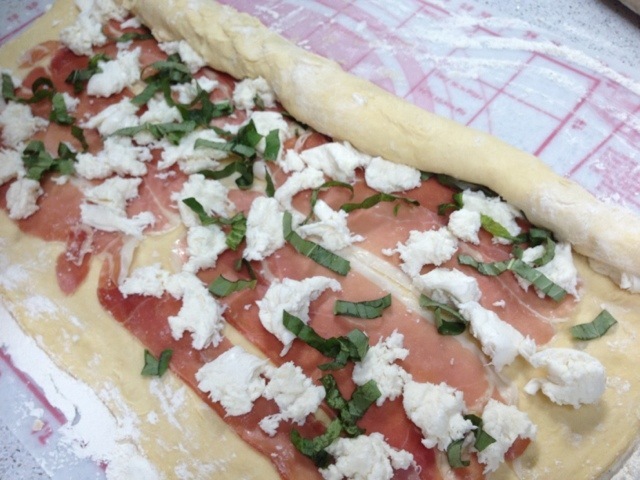 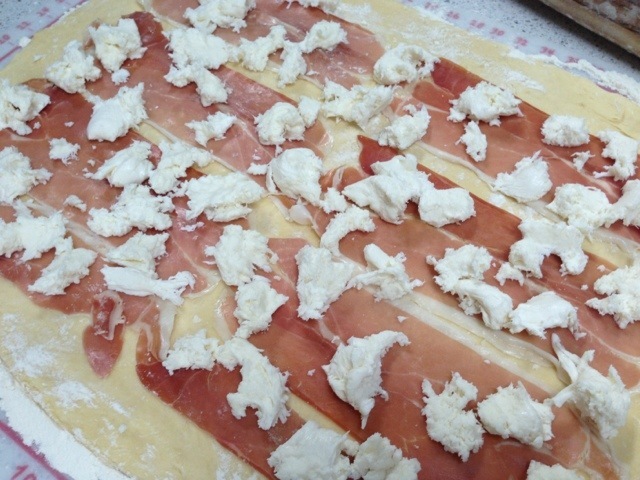 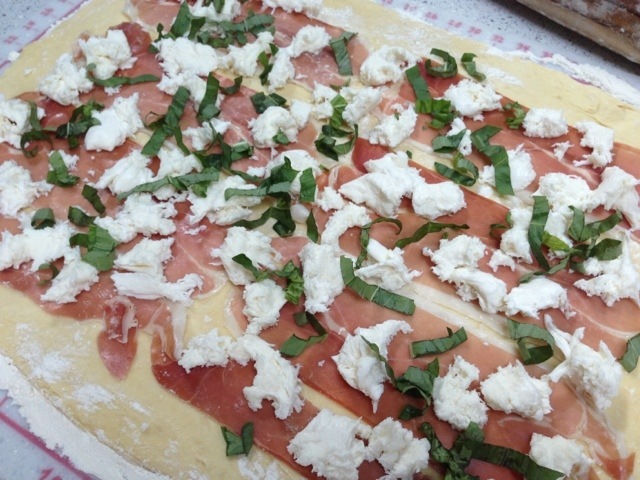 Next the dough was rolled out to a rectangle and topped off with salty, thinly sliced prosciutto, torn mozz and julienned basil! 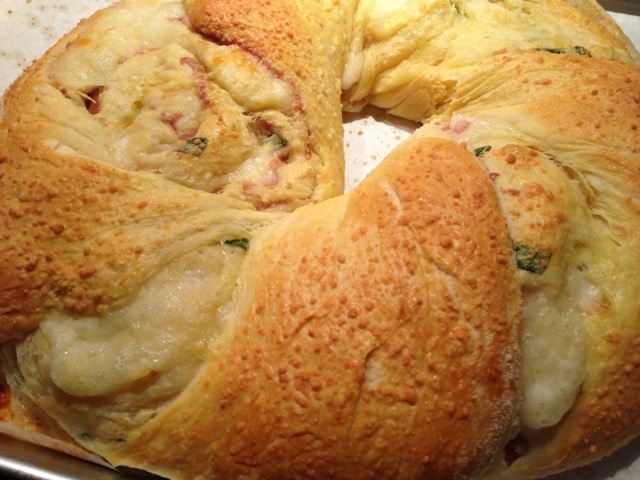 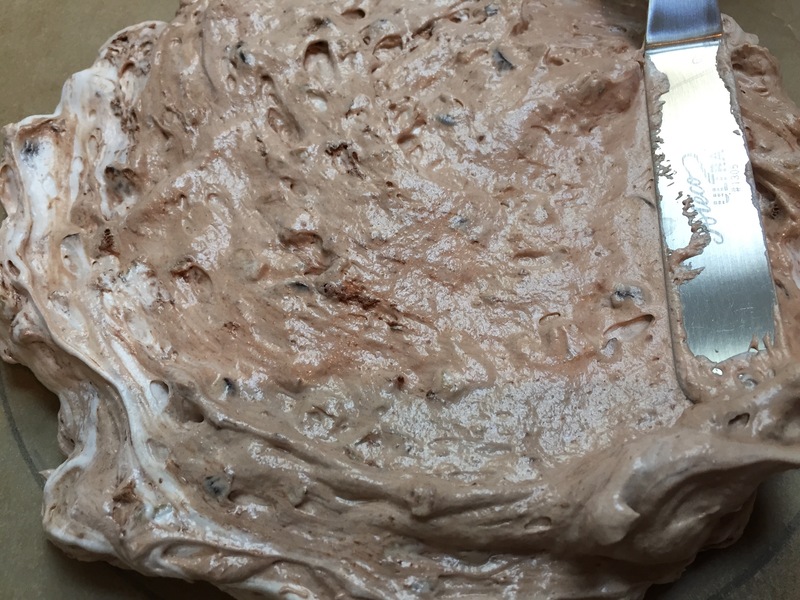 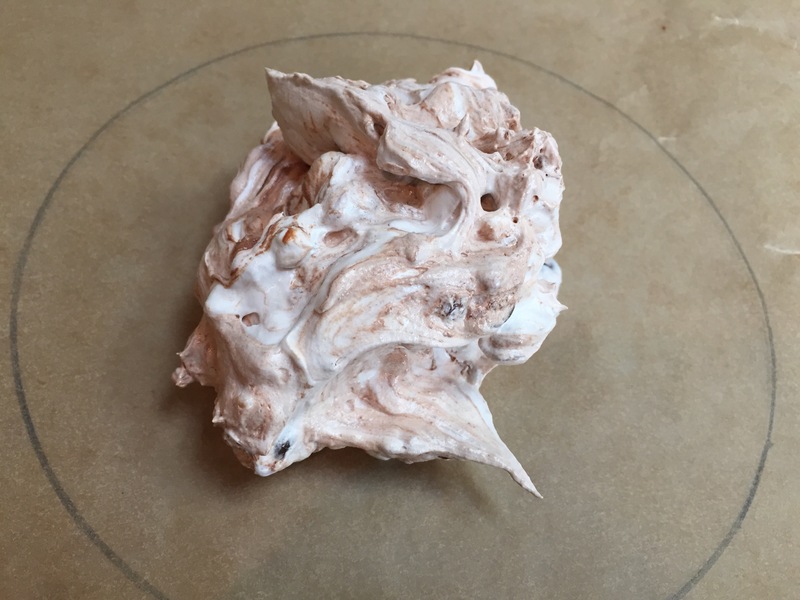 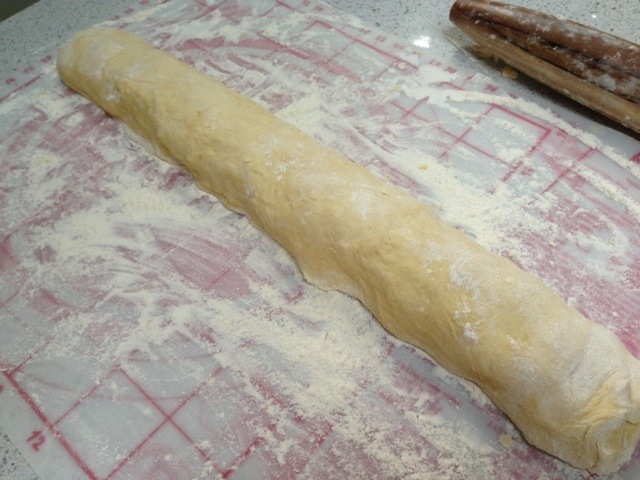 Rolled tightly together into a large cylindrical shape, the dough was then sliced down the center and then twisted together and wrapped into a circle. 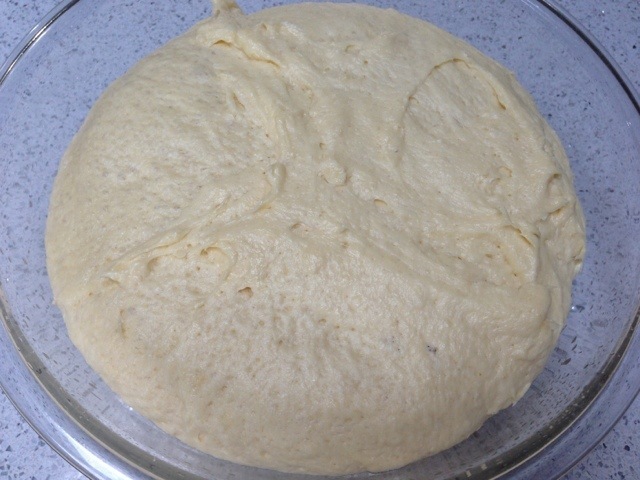 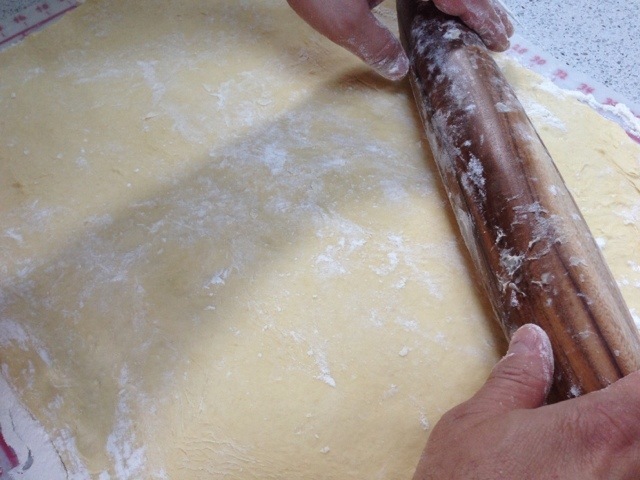 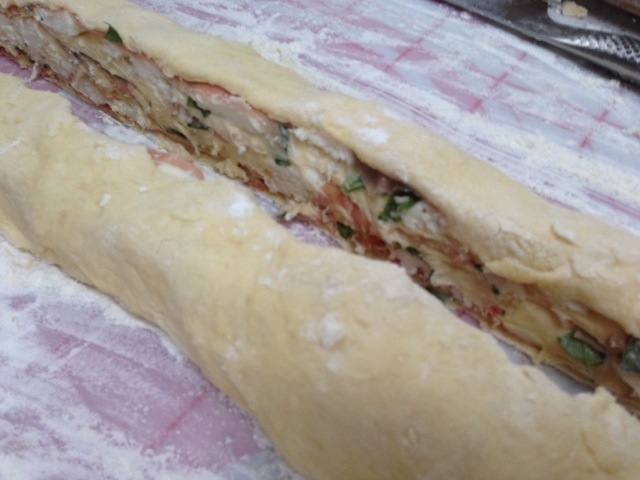 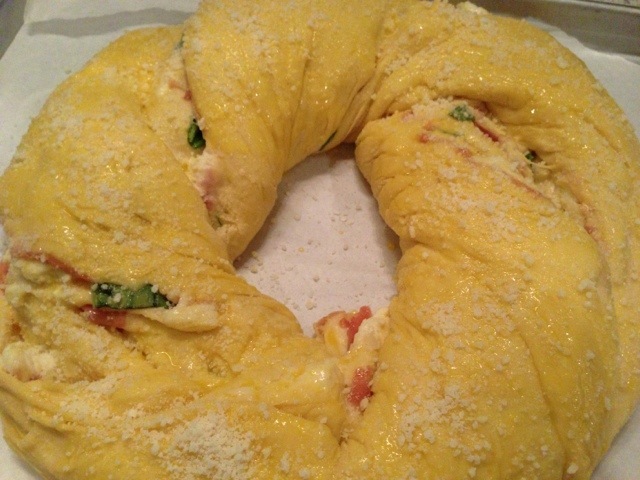 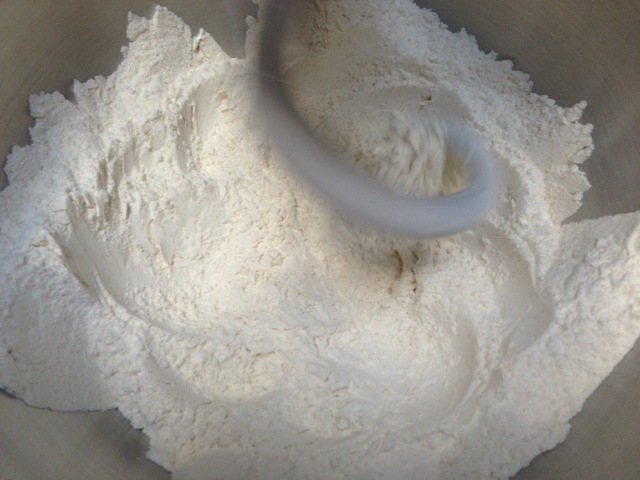 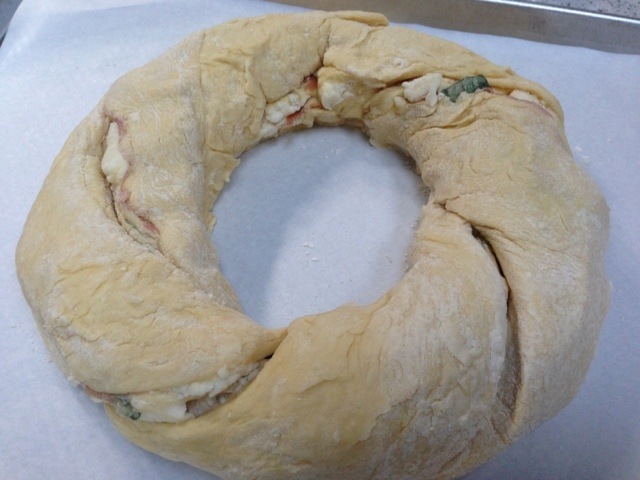 Once the dough was puffy and ready for its tan, it was glazed with an egg wash and some grated pecorino. 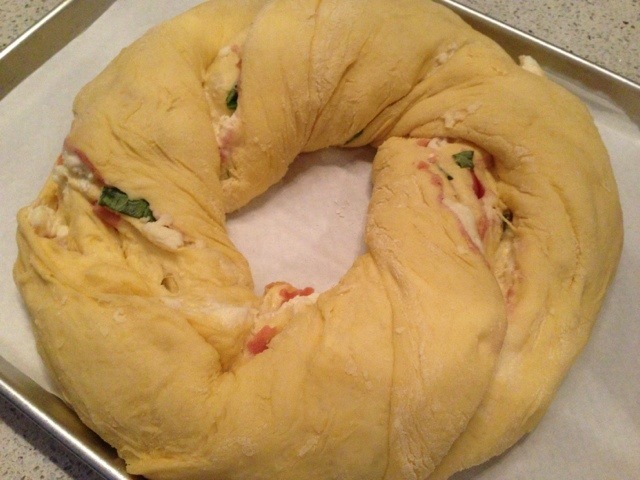 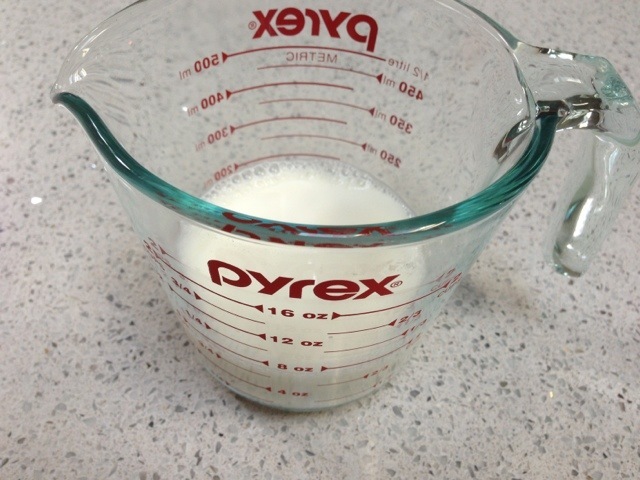 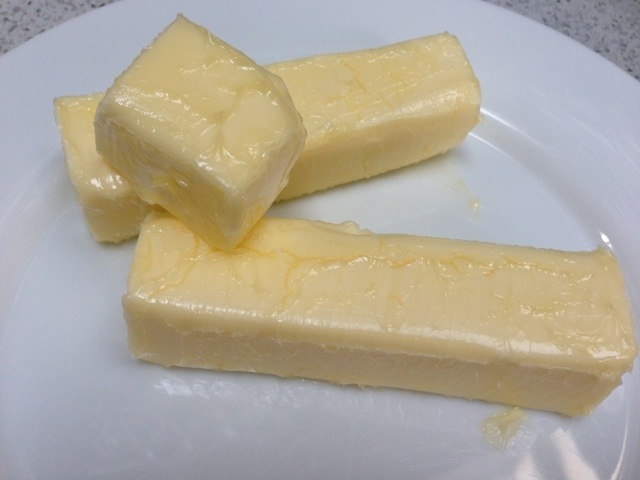 Into the oven for thirty-five minutes until swollen and golden! 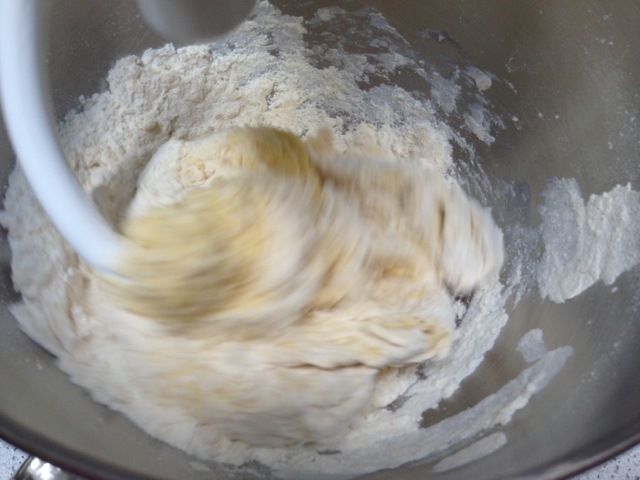 that’s how the ____ crumbles!! 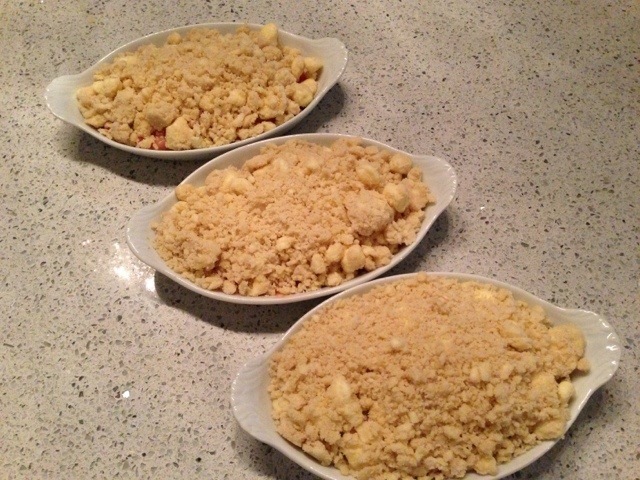 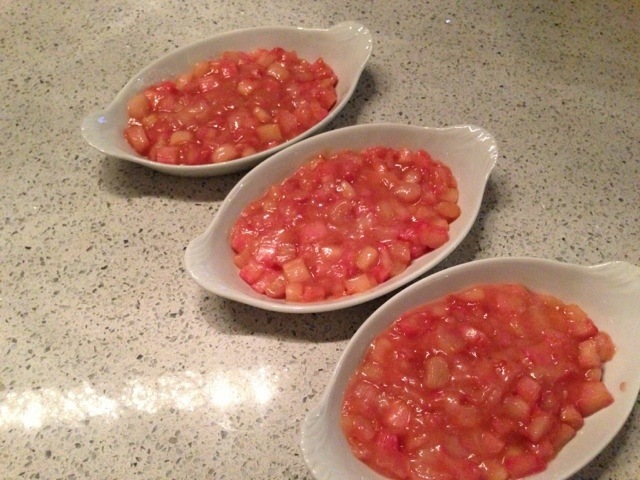 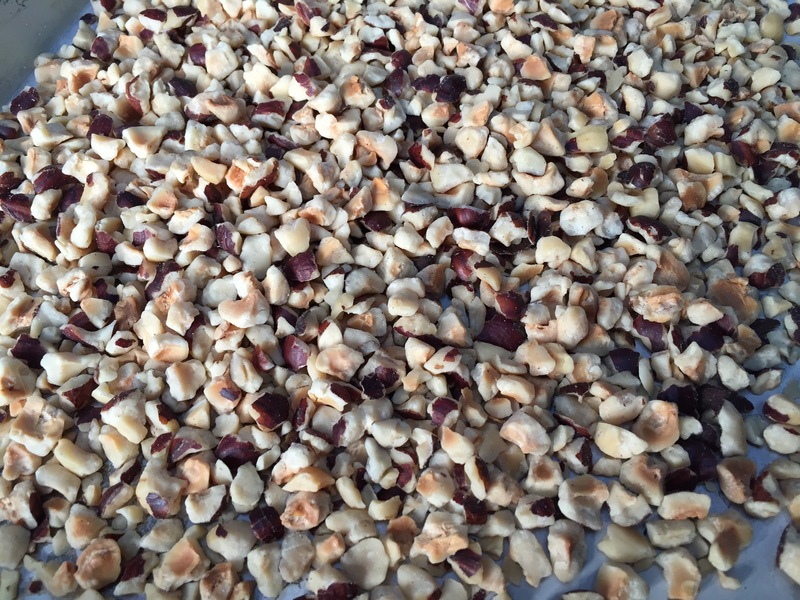 After enduring a rainy day, I decided to lift my spirits and make a refreshing crumble for dessert tonight. 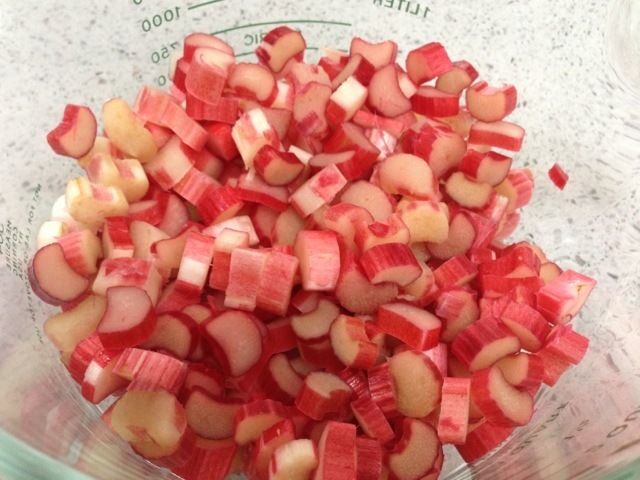 On a trip to the market, vibrant rhubarb peeked out of the wicker baskets and with their long stalks practically reached out for me! 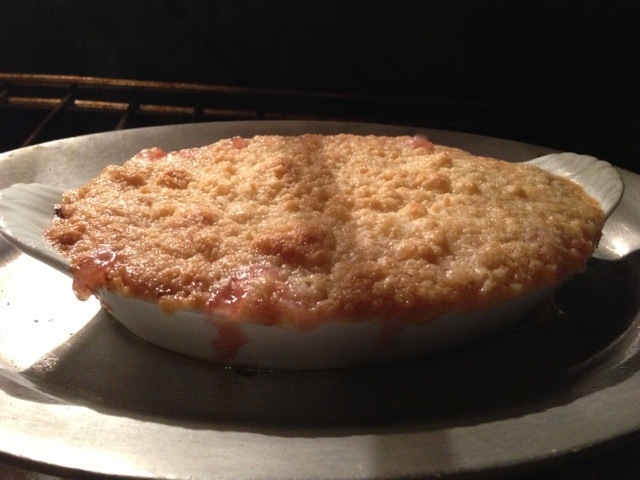 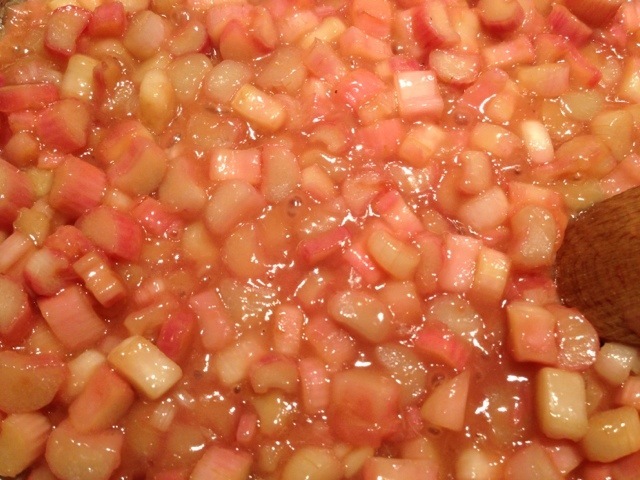 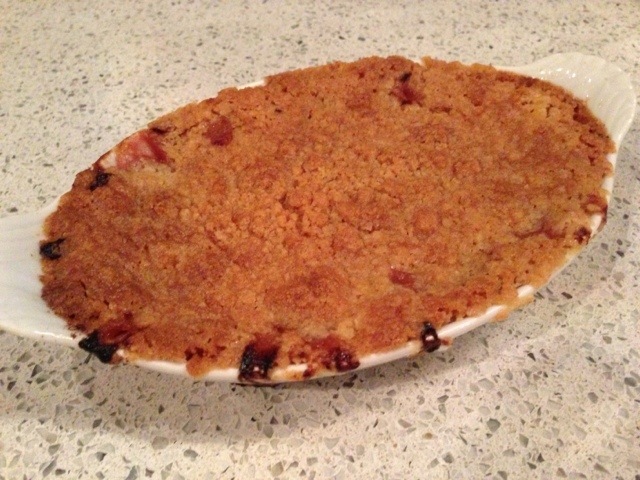 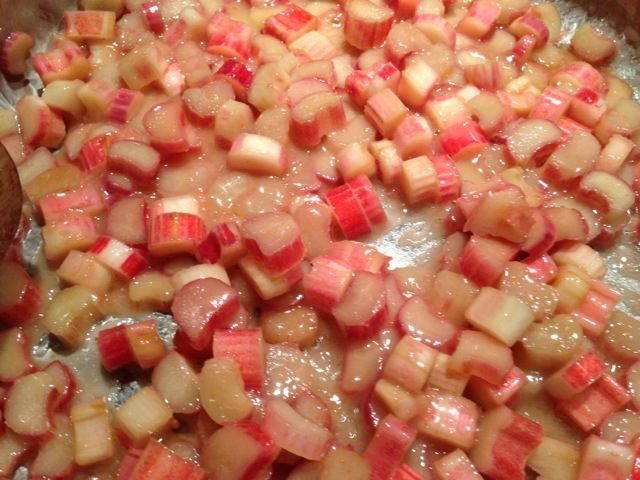 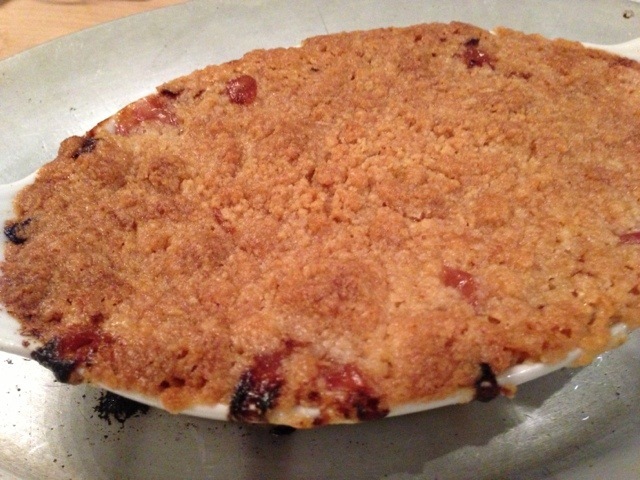 The crumbles went into the oven for roughly thirty-five minutes until the topping was golden and the insides were slightly bubbling… the rhubarb bubbling out and cascading down the sides made the excitement for digging in even more appealing!